A mid modulus silicone sealant that adheres to most smooth and non-porous materials. Contains an anti-fungal compound to prevent mould growth in areas of high humidity. Forms a permanently flexible rubber seal. 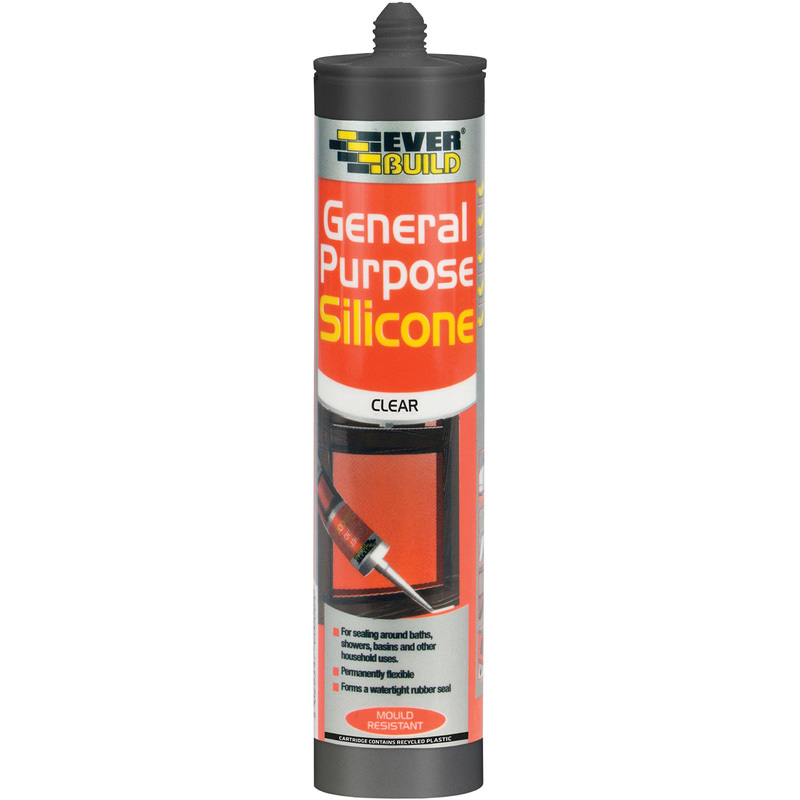 General Purpose Silicone 310ml Clear is rated 4.7 out of 5 by 32. Rated 5 out of 5 by Deek01 from Great product Just what i wanted, not used as yet , awaiting Plumber to do job, sillicone will do the job. Rated 5 out of 5 by christi from Does the job well. Good general white silicone, used upvc window edges. Does the job well. Rated 3 out of 5 by unclematty from Too thin Might be sensible to buy something a bit more expensive, this particular one has a very thin consistency, which makes getting a good finish very difficult.